The Rafeiro do Alentejo is known to be from the Tibetan Mastiff breed of dog and is used to protect and guard the cattle and move the sheep, this breed is still used as a working breed in Portugal. This breed of dog is courageous, powerful and has proved to be a super guard dog, especially at night, they are independent agile and swift. However, this breed is not recommended for the first time owners, because of their aggressive nature, they are very watchful for their home territory, they are loyal to their family and highly suspicious to strangers, they easily get along with other pets, if they are used to them, they do well with children. They have a single coat of medium length, which is straight and thick, this seasonal breed is a heavy shedder, they require early socialization and obedience training, which should be given to them with patience and fairness, they are good learners. They will not respond to any hard and harsh methods of training, even though, they need dominant handler. This breed of dog does not require much exercise, but they are not recommended for apartment living, they are better suited in fields and rural setting and need very minimal grooming, their coat must have through brushing, during their seasonal heavy shedding. 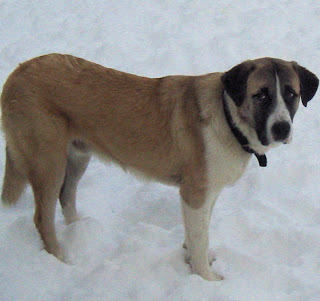 Due to the rarity of this breed, they are relatively healthy, although hip dysplasia may occur.